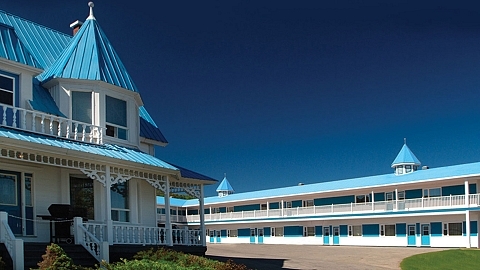 Located in the heart of downtown Gaspé, a short walk from the shops and restaurants and near a host of major tourist attractions, Hôtel Plante will charm you with its magnificent view overlooking the Bay of Gaspé, its unique architecture and its breathtaking scenery. Whether you are traveling on business or visiting our beautiful region, Hotel Plante will surely meet your needs and expectations with its 42 fully renovated and tastefully decorated rooms. 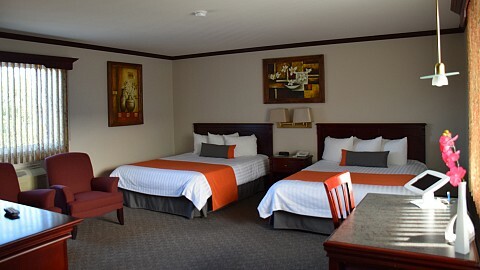 In order to fully satisfy its clientele, the hotel offers wireless high speed internet, business center, laundry service and air conditioning in all rooms. All rooms are equipped with a fridge and a micro-wave and some rooms are equipped with kitchenette. The Hotel Plante, a must in Gaspésie!